Letter asks Mrs. Campbell (Laura) to wire Mrs. John Henry Hammond to invite her and her traveling party to tea. 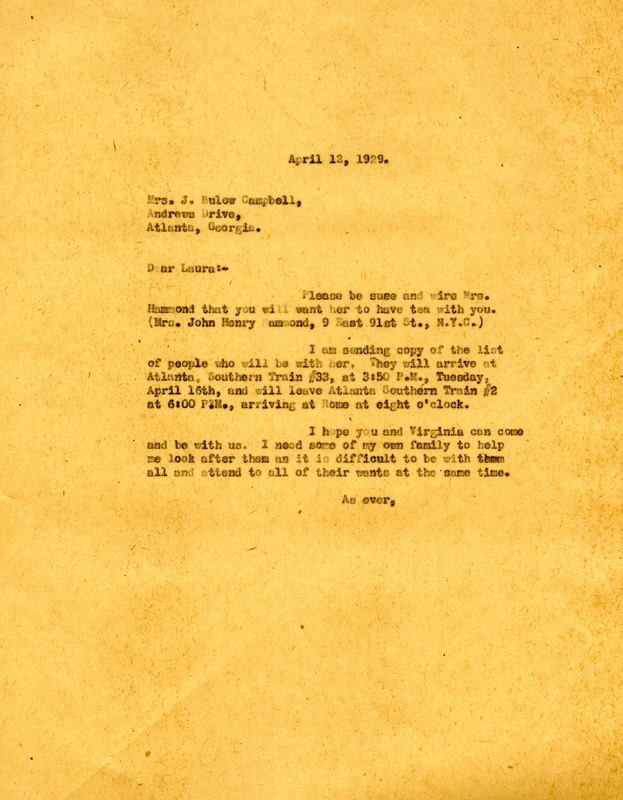 Miss Martha Berry, “Letter to Laura Campbell from Martha Berry.” Martha Berry Digital Archive. Eds. Schlitz, Stephanie A., Rachel Renaud, Chelsea Risley, Alan Henderson, et al. Mount Berry: Berry College, 2012. accessed April 19, 2019, https://mbda.berry.edu/items/show/9672.